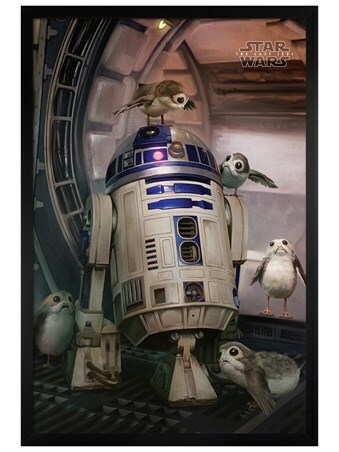 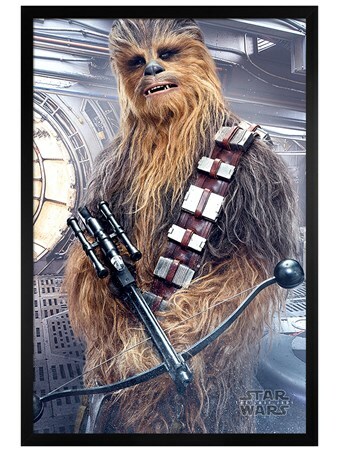 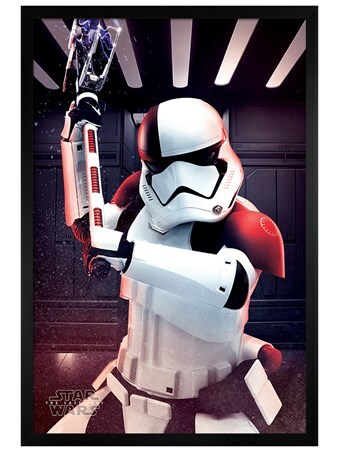 Everyone's favourite new droid is peeking around the frame to say hello! 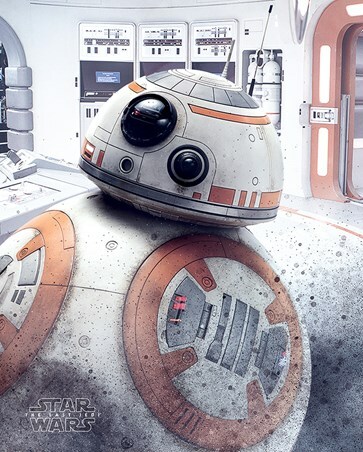 Any fan of the adorable BB-8 will instantly smile when they see this mini poster! 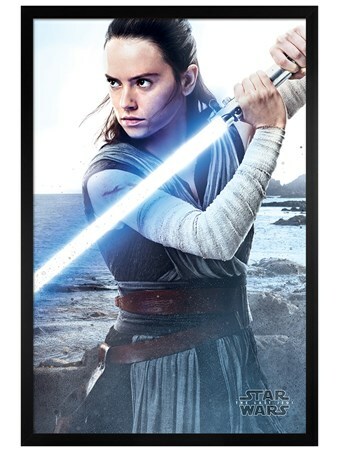 Grab your lightsabres and get in an X-Wing, and join BB-8 and his pals Po, Rey and Finn in an epic space battle!